Buena Bernal (@BuenaCNA) has worked as a multi-platform journalist in the Philippines for over 6 years, producing both video reports as well as long-form articles in her coverage of a wide range of public interest issues. She has previous beat reporting experience on the courts and the justice system, healthcare, as well as labor and migration. She started her career in the media industry as a staffer and later on multimedia reporter for Philippine online news agency Rappler while in college. 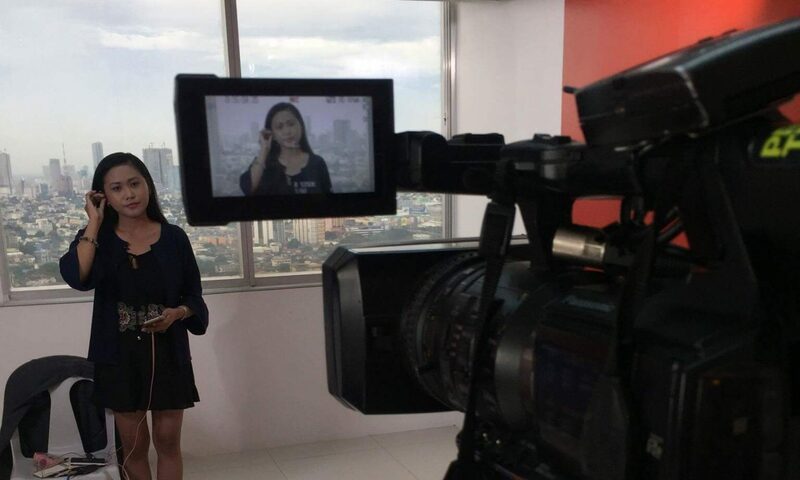 She has freelanced in different capacities both on- and off-camera with international news agencies such as CNN International and Channel NewsAsia, among others, covering affairs in her country. She is now Channel NewsAsia’s Philippines Correspondent. She has covered in-depth the country’s first automated elections in 2010, the historic jailing and court cases of three Philippine senators over the multi-million Pork Barrel scam siphoning public money in 2014, Pope Francis’ visit in 2015, the deaths of 74 workers in a Metro Manila slipper factory fire that same year, and various cases of abused Filipino migrant workers through the years. In her journalism work focusing on the underreported, she has immersed for days at a time among deep sea fishermen of sashimi-grade tuna and five different tribes — Matigsalug, Dibabawon, Mangguagan, Subanon, and Arumanen Manobo — in Southern Philippines, tobacco farmers and the Ifugao tribe in Northern Philippines, as well as sugar plantation workers, the Ati tribe and the Palaw’an tribe in Central Philippines. The most memorable stories to her are always those with strong human characters depicting complex social issues, unfortunately often tragic: the suicide of state university student Kristel Tejada over school dues in 2013, the murder by a visiting American soldier of transgender Filipina Jennifer Laude in 2014, the death sentence later delayed by the Indonesian government of Filipino migrant worker Mary Jane Veloso in 2015, the killing of former journalist Mei Magsino in 2015, and the killing of 17-year-old Kian Loyd Delos Santos by local police under the Philippines drug war in 2017, among others. She received her Bachelor of Arts degree in Journalism from the University of Santo Tomas, where she was a decorated debater. She served as president and team captain of the university’s official varsity debate team, the Thomasian Debaters Council. She coached the team for two years after.